Metro's union has slammed Metro for what the union said was special treatment for attendees of Sunday's white supremacist rally. Metro refuted the claim, saying that all stations and trains remained open to the public as Unite the Right 2 attendees traveled on Metro. Metro's union has lashed out at Metro, slamming the transit agency for what the union said was special treatment for attendees of Sunday's white supremacist rally in D.C., a charge that Metro denies. 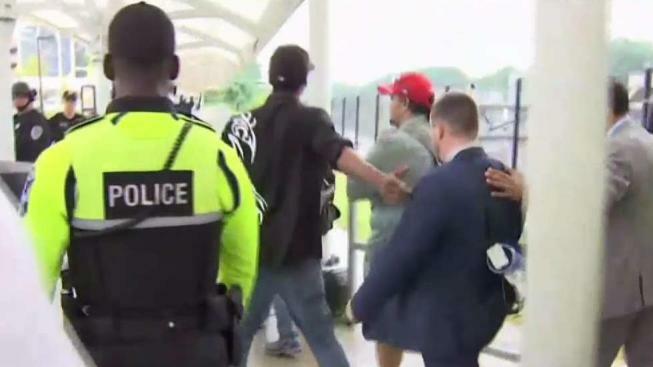 In advance of the Unite the Right 2 rally, Metro received major backlash after board chair Jack Evans told News4 the transit system was considering having separate trains for Unite the Right demonstrators to keep them separate from counterprotesters as they traveled to D.C. from the Vienna station in Northern Virginia. Evans then said there would be no separate trains. But on Sunday, the ATU Local 689 union blasted Metro and called for the firing of WMATA General Manager Paul Weidefeld. "DC, now you see who was telling the truth about the racist marchers being escorted onto Metro and who lied," read a tweet from ATU Local early Sunday afternoon. "Wiedefeld lied to riders and public when the truth was more convenient. The fallout of today will be on him." "Last night, like every other resident that had the expectation that these far-right folks would not be given special accomodations, special cars, I felt misled and very frustrated," D.C. Council member Robert White (D-At-Large) said. 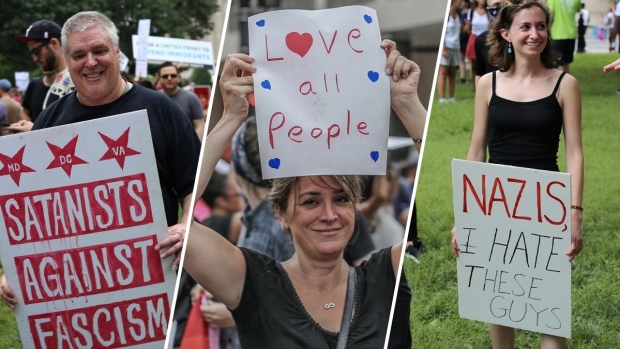 But Metro refuted the criticism, saying late Sunday that all stations and trains remained open to the public as rally organizer Jason Kessler and his followers traveled on Metro. A statement from Metro said all Orange Line trains were marked "special" Sunday because they terminated at Foggy Bottom due to previously scheduled track work. "The Kessler group traveled from Vienna to Foggy Bottom on a regularly scheduled train, together with other passengers, media and law enforcement," the Metro statement said in part. "They were escorted by police onto the rear of the train and police rode in that rail car and others to protect the safety of everyone onboard the train." Metro said the train stopped at every station to allow any customers to enter and exit, and the Vienna station remained open to the public "at all times." NBC Washington's Julie Carey reported Sunday that Kessler's group was guided by police to the last car on the train, which was reserved for them as part of a plan to separate them from other riders. Metro Transit Police Deputy Chief Warren Donald said there was not a special train. "What the officers did they reserved one car to keep the two groups separate," he said. "Once Kessler's group was aboard that car, we reopened the car and let patrons board that train." Officers led Kessler and his group into a Metro car and some members of the media were allowed into the car. WTOP's Max Smith reported that police did not allow other passengers to board that car as the train stopped at other stations on the way to Foggy Bottom. There was a heavy police presence at the Vienna station that included officers in riot gear. The station's north entrance and parking garage were closed, and officers used their bikes to create a corridor for the demonstrators at the beginning of the day.